The rule that you need to drink eight glasses of water per day is a myth. The Institute of Medicine recommends women should receive 2.2 liters of fluid intake per day and men should get three liters. Keep in mind that fluid intake can come from beverages other than water. 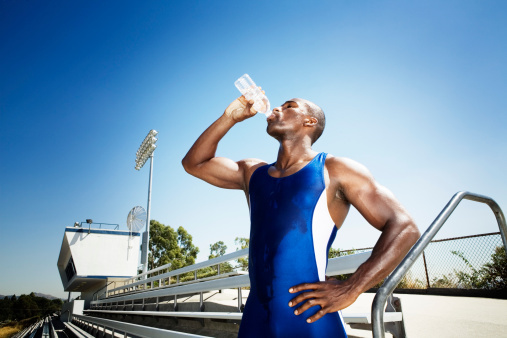 While thirst is your body’s way of preventing dehydration, being thirsty doesn’t mean that you are dehydrated. Thirst is our brain’s way of telling us to drink more to avoid dehydration. The color of your urine is a good, real-time indicator of dehydration, but the misconception is that urine should be clear. In truth, urine should be a pale-yellow color. Caffeinated beverages, such as coffee or tea will not dehydrate you if consumed in moderate amounts. Caffeine is considered a mild diuretic, the amount of water in it offsets the amount of fluid it will cause you to lose through increased urination. Drinking isn’t the only way of increasing your water intake. It is estimated that we get up to 20% of our daily water intake from the foods we eat. Fruits and vegetables contain the most, with cucumbers, celery, and watermelon having the highest concentration of water. There is also such a thing as drinking too much water and becoming overhydrated. This can be very dangerous and can lead to a condition called hyponatremia. Symptoms include nausea, vomiting, headache, and fatigue. To avoid this problem, do not drink to the point that you are full from water alone. 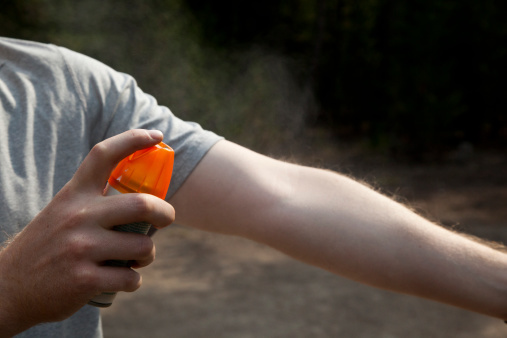 Warm weather brings people outdoors for all kinds of activities. One of the most popular is outdoor grilling. 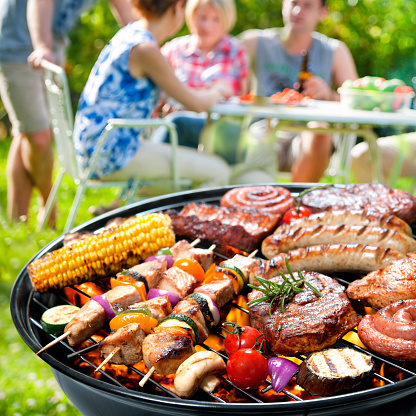 Whether it be the all – American hotdogs and hamburgers, chicken, steak, fish and vegetables, everything tastes better on a grill, but grilling can be dangerous if precautions aren’t taken. Don’t let your summer grilling be memorable for the wrong reasons. Every year people end up with serious injuries because they weren’t careful. Remember that a grill uses a flame to cook and regardless of it being charcoal or gas that is fueling it, it can get out of control quickly. Take your time and do it the right way and you will have a wonderful meal every time.